Please can anyone tell me the name of this plant. 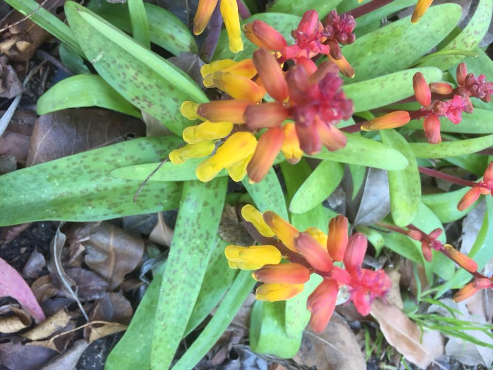 I moved house and it has just come up in my front garden in South Australia, it appears to be an annual and is only about 6 inches tall. Thank you! Actually it is perennial because it has come up again this year, must be a spring bloomer. The leaves are spotted - some type of orchid? Comment on "Name of this plant?"